Battle Tek Has New Products, But They Are Almost Gone! The newest products added to the Battle Tek Athletics website are now down to a limited number in stock. Battle Tek Athletics offers a number of comfortable performance T-shirts that make a statement about your intentions as a competitive athlete. These performance tees are suitable for training and for crushing any myth that your confidence or training that prevents you from dominating your competition. Comfortable Battle Tek performance tees allow you to compete or train in comfortable 100% polyester micro mesh fabric. These lightweight performance tees offer freedom of movement and classic graphics. They also made with fabric that offers wicking for moisture control. 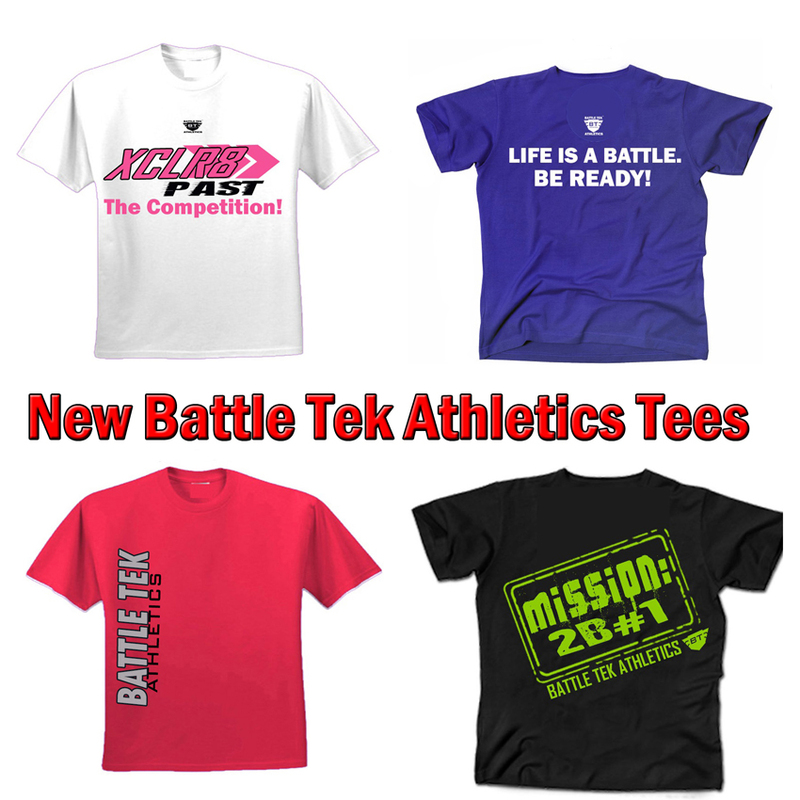 Hurry, the newest Battle Tek Athletics performance T-shirts are almost gone! The lines of high-performance battle Tek T-shirts with limited quantities include the following styles: XCLR8 Performance Tee, The Mission To Be Number One, Life is A Battle – Be Ready Performance T, The Cage Warrior/Cage Fighter Performance Tee, and the Simple Side Print Battle Tek Athletics Performance T-shirt. The sizes available very with each product. Also, the XCLR8 is available in a few women sizes. For more information on the shirts in the available quantities, please click on the links below to see these products. This entry was posted in home and tagged cage fighter, care warrior, micro mesh polyester, mission, new products, performance tee shirts, performance tees, xclr8.